C-DOVE (or COSMODIC DOVE) is the smallest device incorporating the COSMODIC® technology. it is just as powerful as the “bigger” models. Even though the C-DOVE was designed for home use, it can be extremely helpful both at home and in professional practice. It is fully automated in action and operation. The C-DOVE boasts cutting-edge miniaturization know-how providing for high efficiency and a capacity to incorporate the very sophisticated COSMODIC ® technology into a remarkably compact space. Due to the difficulty of the process, LET Medical produced only limited quantity of C-DOVEs, and right now it is almost a rarity. Q: Where and when the C-DOVE would be the device of choice? A: The C-DOVE algorithms are designed in a way that ensures a quick and profound pain relief first followed by facilitating profound healing and repair of damaged tissues. 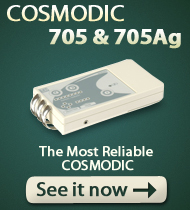 That makes the “smallest COSMODIC” the ideal device in cases of emergency. 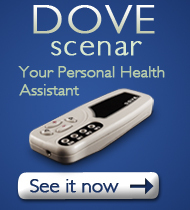 If you travel a lot and/or need a reliable Personal Health Assistant away from home – the C-DOVE is your pal. You can simply put it on the place that hurts and keep doing what you are doing, even if you are driving, or fishing, or gardening etc. The device is so light and small that in many cases you do not even need to hold it – it will simply stay on your skin. Due to its small size, the C-DOVE is also very convenient in treatment of the problems in small body areas, such as eyes or ear-nose-throat diseases, or dental disorders. And, of course, this “miniature SCENAR” is the device of choice for the kids – so quick, so small, so simple, so light, so robust, and SOOO much fun! the C-DOVE is your “take anywhere” COSMODIC ®. Main purpose of design: First-aid, travel. “And now the smallest, baby SCENAR-COSMODIC! Such a cutie! Always comes to the rescue. Very power-saving and extremely small. 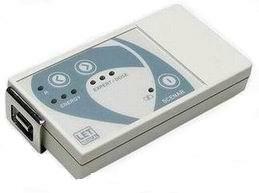 It has two built-in electrodes which can work on both big and small areas. This makes it so easy having it always in your pocket. This device will always help you when you are going out, no matter what happens. Its main mission is to relieve pain quickly and only after that start treatment. That’s how its algorithms are arranged. Automatic function is extremely simple: just place it on the skin and let it do the job. Even though it is small, it is very powerful! Headache, toothache, pains in the back, bruises, cuts or if you ate something not so good just place it on the place that hurts and let it work. With this device you can feel secure when you work, or go on a business trip. 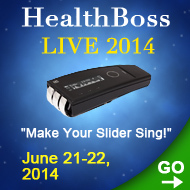 Energy level is automatic – and can be manually set. You can switch the sound off and on. 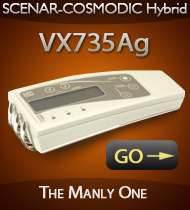 There is a “dynamic adaptation” mode which allows you to automatically manage stimulation during prolonged action. Easy to determine the beneficial treatment areas. Port for external electrodes (can take shungites). The device contact with the skin. Preliminary analysis of the area – Let you know if this is a good place to treat. The levels of energy used. The body’s reaction or response to the treatment. “The Dose” when enough treatment is done. The activation of “dynamic adaptation”. Electrodes are made of special steel which has a pyramidal structure. An important feature of this type of steel is that chrome does not penetrate into the skin due to the electrolysis process occurring during action. The C-DOVE has two built-in electrodes. The electrode on the front-end part of the casing is made as a separate small electrode and performs functions of a remote electrode. CASING: The C-DOVE is encased in «Pocket S» series casing. Waterproof keyboard and sealants make disinfection and cleaning of the device easy. The casing is made of shockproof (3 mm thick) ABS plastic. POWER SUPPLY: two galvanic cells, size N, 1.5V. HOW MUCH does this wonder-device cost? Q: Why is it so expensive, if it is so small? 2. Miniaturization and the high manufacturing culture – the signature of LET Medical Research Laboratory. It took A LOT of efforts to fit “everything COSMODIC” into such remarkably small space. It is easier to do with a larger models. There are some unique and expensive electronic blocks incorporated in the C-DOVE in order to make it THAT small. They needed to be extensively sourced – hence, the extra expense. Q: What’s included in the Price? And last, but far not least, you are getting our proprietary Training and Support Package ($1000+ value). Q: What is your Training and Support Package all about – and why do I need it? A: Even though any COSMODIC® device is a fully automated machine and does not require much training in order to get good results with it, you still need to UNDERSTAND how it works and how it interacts with your body in order to get the most out of your amazing tool. quickly, simply, and in an organized fashion. 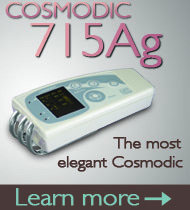 the ONLY Virtual COSMODIC® Training in the World. We also offer the Best Support System for COSMODIC® devices in the marketplace. 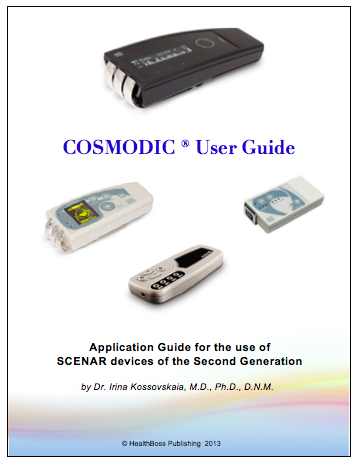 “Rob Esser’s Comprehensive Guide to Using COSMODIC® scenars” DVD – $295 USD value. Direct access to Dr. Irina’s vast knowledge and experience – priceless. Just the price of the DVDs alone far exceeds what we charge for the Program. Besides, this is merely a PRICE, not VALUE (read HERE about the difference). There are some things that we provide and that are difficult to put a price tag on, but they are important to take into account when you are thinking about acquiring an expensive and sophisticated device manufactured in Russia. The most important of these things is: WE CARE. To us, you are not just a customer #XYZ; you are a new member of our Home Healers Community. We want to know YOU, and we will care about your device just as much as you do. We are always just a phone call away, and we will know you by name. We will work with you to make sure your device is delivered to you quickly, safely, and in the most economical fashion. Our friendly staff is always there to help with maintenance questions, technical details, programming etc. We constantly update you on any new developments in the SCENAR field, new events and discoveries; you will always stay up-to-date. We will help you connect with the fellow COSMODIC® owners (possibly even in your geographical area) to exchange experiences, tips, and tricks. We will serve as your liaison with Mother Russia in case your device needs upgrade or service. If your device needs to go back to LET Medical for repair and you depend on it, we may give you a loaner device until you get your revived baby back. We will even help you sell your device, in unfortunate circumstance that you have to do it (check out our Marketplace HERE). 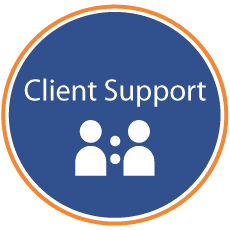 There is no matching Support Program anywhere in the industry. We put a lot of heart and effort in designing and building it, because we firmly believe that you deserve to receive more with your purchase of a top-of-the-line technology than just a machine in the box with a little manufacturer’s Operator manual with it. What we wanted to give you along with your COSMODIC® was PEACE OF MIND – a comfort of knowing that you are not alone with your smart and a little intimidating device that you just spent a lot of money on. You are now a part of the community of other Home Healers with Space Gadgets, who already walked the path you just stepped on. You have helping hands and wise guides at your reach, and you can always turn to them on your healing journey. You cannot put a PRICE tag on all the above – and yet, we believe it has a lot of VALUE. Your COSMODIC DOVE comes with one-year warranty, which begins from the date you receive the device. The warranty covers any malfunctioning of the device except for the ones that happen due to a careless handling (dropping or crushing of the device, water or fire damage, battery leakage etc.). In this case we will still help you get your device fixed or replaced, but you will have to cover the replacement or repair costs. 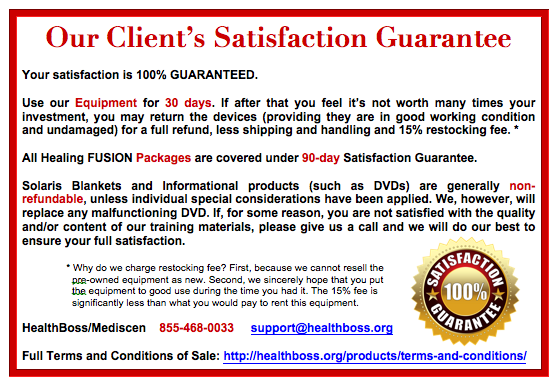 Our COSMODIC devices are covered with the 30 days Customer Satisfaction Guarantee (90-day, if you are purchasing a Healing FUSION Package). Within this time period, you can always return the device in good working condition to us, if you feel it is not helping you enough – and that practically never happens. We will refund your money minus a small restocking fee. There is one more consideration. We are the oldest SCENAR business outside of Russia active since 1998. We’ve been through thick and thin, we’ve seen it all, we are firmly established in the marketplace – and we are not going anywhere. We have a mission of providing Home Healers with courage, knowledge, and tools (our carefully selected high-tech energy healing devices in particular) to take charge of their health and become health independent. It’s a long-term goal, so WE ARE HERE TO STAY. With all the above we wanted to let you know that if you choose to partner with us acquiring the C-DOVE, it will be a real partnership, and we will do our best to protect your investment. So, here is the deal. WE will absorb the shipping charges and import taxes and duties for delivery from Russia to North America; you pay only a delivery charge from our American offices to you. WE will safely deliver your device to you along with the Training you need to get the most out of your device. WE will provide personal support all the way to make sure your COSMODIC scenar is doing what it supposed to do for you. WE will keep you up-to-date with all latest developments in the second generation SCENARs arena. YOU will get yourself a devoted PHA – Personal Health Assistant. 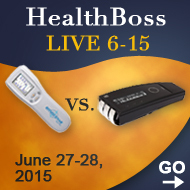 YOU will have a chance to become Your Own Health Boss. YOU can receive yourself and give to many others the GIFT OF HEALTH. You do not have to decide RIGHT NOW if the C-DOVE is right for you. Just get it and try it out. Get your PERSONAL PROOF. Any words, any opinions, any approvals, and any advertisement in the world mean absolutely nothing, if the technology does not work FOR YOU – and if it does, nothing else matters, right? 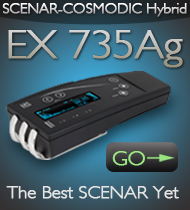 We KNOW that you will fall in love with your COSMODIC scenar and won’t want to part with it. It happens to everyone. Why? Maybe because SCENARs are more than just machines; they are PHAs (Personal Health Assistants) – intelligent, reliable, efficient, and dedicated. They also have personalities. P.S. Call our offices at 905-468-0033 or toll-free 1-855-468-0033 or e-mail support@healthboss.org, if you need any additional information or assistance. 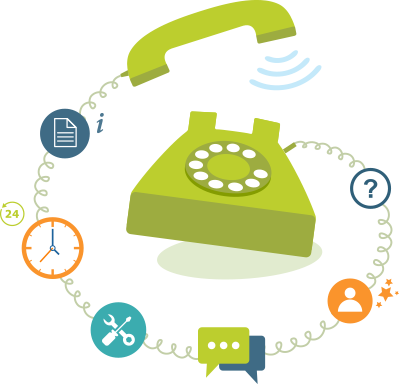 We can complete your order over the phone as well, if it is more convenient for you. SCENAR (SKENAR) as a new field of medical science and as a unique phenomenon is constantly growing and evolving. It’s evolution is being pioneered by LET Medical Research Laboratory led by Dr. Alexander Karasev – the original inventor of SCENAR (SKENAR) and COSMODIC ®. 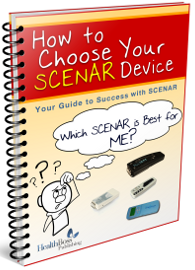 GO HERE to see the array of the newest SCENAR and COSMODIC ® devices. I bought my Dove a few years ago and its been worth every penny. When I got second-degree burns with a fist sized blister on both legs I used it around the burns the two hours before ER treatment and walked out of the hospital with no pain. It healed quickly and nicely too, no pain. That is unheard of with burns. I used it for carpal tunnel, took that away. It works best with muscle problems, also seems to urge body movements that end up cracking a joint – when my finger was jammed, it urged me to reflex bend it, and it was back aligned. Most recently, I am using it after venus ablation- – treatment for varicose veins in which a probe is inserted up the vein and a radio-frequency heats and closes off the vein. i had discomfort and some swelling but using the Dove around the area brought the inflammation down and took away the discomfort. I think the best thing it does is reduce inflammation, thereby freeing up blockages and encouraging healing. I remain interested in your products, in particular the smaller and more portable device, at least, for now. I do have a private practice treating individuals with pain, PTSD, brain disorders and injuries, auto-inflammatory and auto-immune disorders, among others. Still, I am a single head of household. Could someone please contact me about possible payment arrangements or the possibility of a loaner for my office if I put out your brochures, etc.? I wrote some time ago. Dr. Helen Budzynski referred me a while back. The initial expense is what has delayed my considerations. I hope we might arrange a time to talk. I am in Maryland and, currently, on daylight time. For your Canadian office, I am in the same time zone as Montreal.